I have been in a real crafting frenzy this week, it’s school holidays and for the first time in almost five years I don’t have uni assignments pending. So I am taking this opportunity to make a heap of stuff for my Etsy store and markets, clean out some of the junk from my craft room and just plain enjoy not having to limit my time on craft stuff to get work stuff done. When I go back to work (as a teacher this time!!!) I will be back to the daily struggle of trying to find time to do any craft, but for now…let the good times roll. 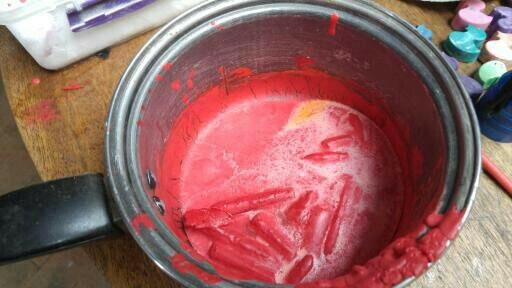 Today’s offering is making new crayons by melting old ones. 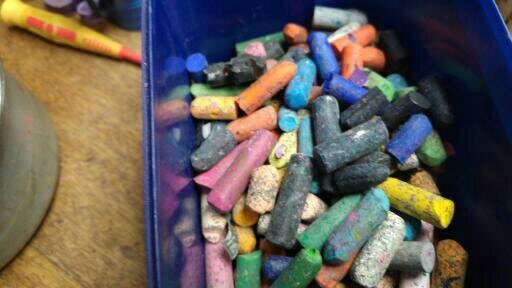 I cleaned out the crayon boxes at school and ended up bringing home a bucket full of broken old crayons and pastels. They have been sitting in my craft room for a term or two and today is the day I do something about it. I found instructions for melting them directly into ice cube trays. How to make crayons from scratch. How to make play dough using old crayons. How to make candles from old crayons. How to make lip gloss from old crayons. There is so much you can do with broken crayons that I started to wish I had more of them. 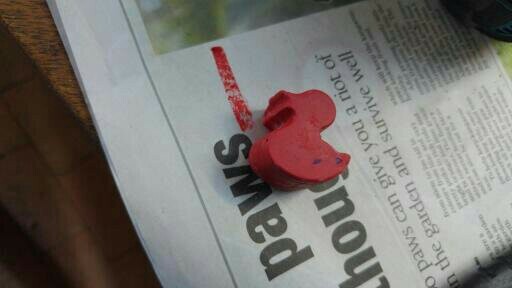 First I tried to melt them in a silicone mold to make cute little duck shaped crayons. 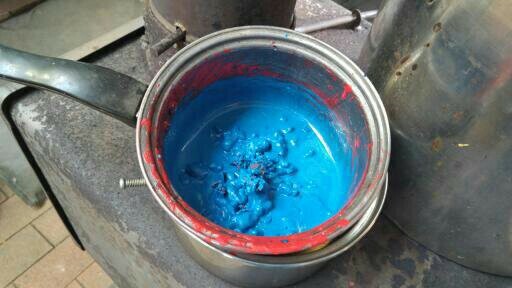 That’s when I discovered that different brands and colours have a different melting point. Some melted and some didn’t. So I melted them in a double boiler to avoid the lumpy duck outcome. Some melt faster than others. 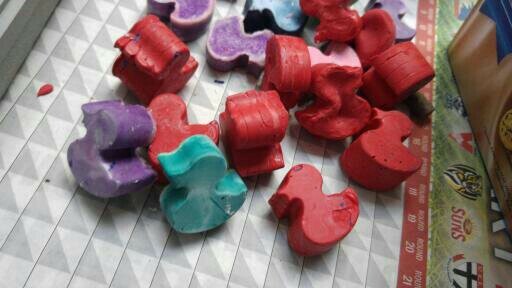 The resulting crayons were cute but a bit brittle, so I decided to add a little bit of beeswax to each melt to give the crayons a softer, smoother texture. That did the trick and the crayons were lovely little coloured ducks. My next refinement was so obvious I completely missed it while perusing all those tutorials; I decided to crush the crayons before plonking them in the double boiler to melt. I put them into a plastic bag and whacked them with a hammer until they were mush. So satisfying, and they melted faster and a lot more evenly. I wiped the pot out between colours, but a lot of staining remained, this made the colour outcome somewhat…exciting and unpredictable. Just the way I like it. 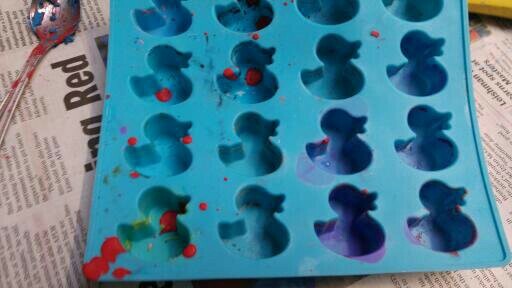 My end result is some cute, but not really crisp and neat, duck crayons. Some of my finished ducks. They are fairly neat on one side but very rough on the other. 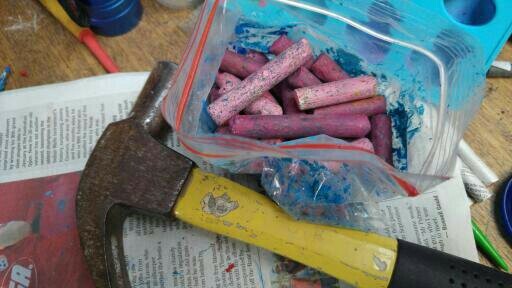 I am thinking of making up little packs of recycled crayons for the markets and my Etsy shop. What do you think? I have no idea what to charge for them, given that they are a waste resource, but someone may as well be using them rather than just throwing them in the bin. I am also thinking that this activity might be fun to do with the kids at school, we could make little hearts for Mother’s Day. 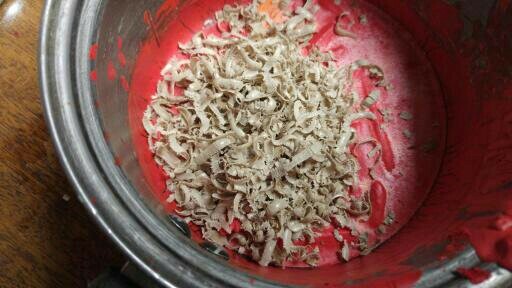 I wonder what else I can make from these old crayons? Thank you. I had a lot of fun making them.